Some days, school can be tough. One day in the classroom, Abduli struggled to read those long words and felt really frustrated. Amani friends can make even the hardest day better. That afternoon, Abduli found some scrap paper and learned to make paper airplanes from his friend Daudi. And in the evening, feeling sleepy and lying in bed with a full stomach, Abduli thought on the many things that have changed since he came to Amani, now that he finally has a place to call home. Abduli never had a real home before. Born to a very poor mother and an alcoholic father, he had a place to sleep but was not given any attention. Since he was very young, Abduli grew used to life on the streets and to fend for himself and his younger brothers. One day his father disappeared, leaving his mother with four children and no income at all. Being the older brother – at the age of 9 – Abduli was kicked out of the house and sent to look for his dad. 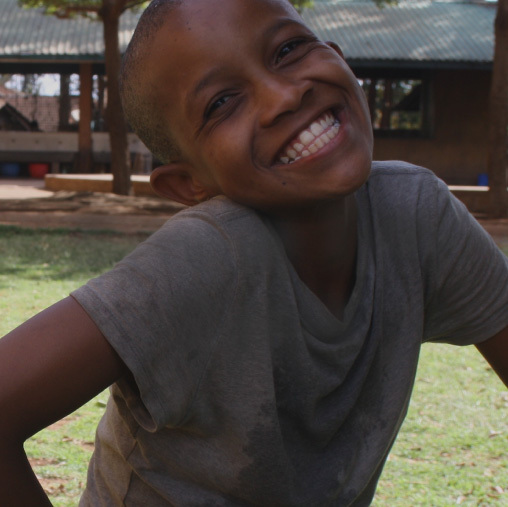 Abduli moved to the nearby city of Arusha and became a homeless child. In Arusha he met Gasper (one of Amani’s street educators) who convinced him to come to our children’s home. During the first days he struggled a lot: he didn’t want to sit quietly in class and would get very angry about small things, fighting with the other children often. It was a huge battle to get him to wash his clothes and take a bath every day! But Abduli is doing much better now, and although he struggles with long words, he has already learned to read and write basic sentences and now is able to count. He also loves to show off his trick to walk on a big truck tire. Thanks to caring donors like you, Abduli is growing into a happy and healthy child who dreams of becoming a pilot.